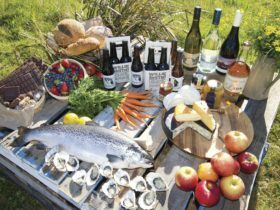 The Huon Valley is a 40-minute drive south of Hobart; to the east is the channel country – D’Entrecastaux Channel – and the long green hills and white beaches of Bruny Island. The Valley and Channel country is an interesting mix of farmers, people seeking a sustainable lifestyle, craftspeople, orchardists, foresters and fisher folk. One of the most memorable journeys from Hobart to the Huon is on the coast road through the suburb of Taroona, where the world ’s oldest round shot tower stands. Further on, there are superb sea views of Storm Bay and Bruny Island beyond. On the shores of the Channel is the little port of Kettering. Cruising yachts and fishing boats sit on their reflections in the sheltered harbour, and the busy Bruny Island car ferry plies its trade across the water. 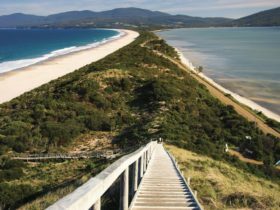 Bruny Island is an island of surprises – gentle countryside and wild coastlines, quiet beaches and roaring surf, lighthouses, farmhouses, and a rich heritage of sealers, whalers and explorers. 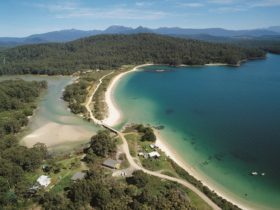 In 1788, during a visit to Bruny Island, Captain William Bligh of the Bounty planted Tasmania’s first apple tree at Adventure Bay. Today, fruit trees still line the highways and country roads of the Huon and Channel district. Heart of the apple country is Huonville, on the willow-clad banks of the Huon River. Its dark waters rise far inland in the Southwest wilderness. As the waters approach the sea, they flow quietly by the river town of Franklin where boat builders learn the traditional skills of shaping Huon pine. 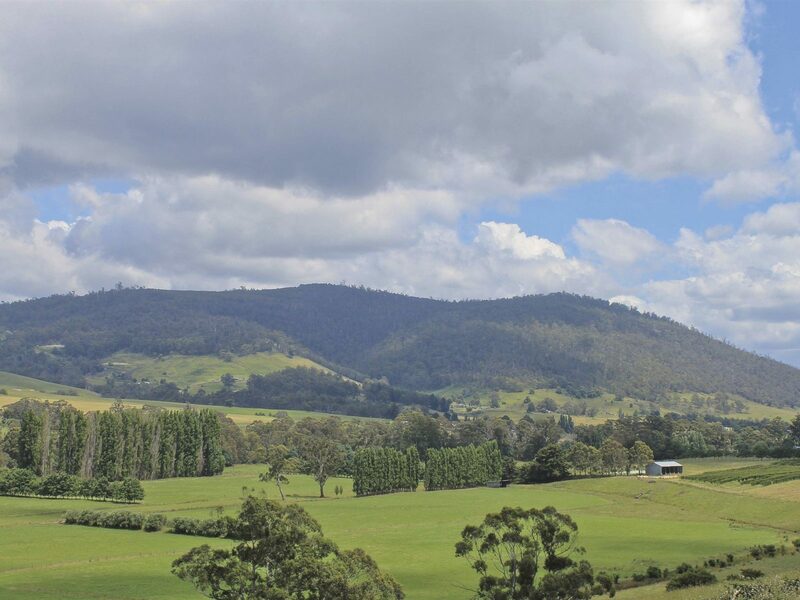 Further south is the forest town of Geeveston, close to valleys where mighty eucalypts tower skyward. South again to Southport, Dover and the hidden dolomite caverns of Hastings and Lune River. At last the road winds down the shores of Recherche Bay to Cockle Creek – the most southerly town in Australia.